World’s first eCommerce site dealing in Magnets is developed by TransPacific Software | TransPacific Software Pvt. Ltd. When Alabama based Correlated Mangetics Research (CMR) approach TransPacific to build its Polymagent web site on Magento; it started a new learning cycle for TransPacific Software (TPS). TransPacific extensively specializes in Diamonds and jewelry eCommerce websites. But a eCommerce website on innovative product like Polymagnets was challenging. Polymagnets are not regular magnets; They are smart magnets. Rather than simple arrangements of north and south, customizable patterns are designed in software and programmed into a magnet. Polymagnets are fundamentally different than conventional magnets. With polymagnet you can now customize the feel and function of a magnet system.Polymagnets are manufactured in any quantity from prototype to production volumes. Since the pattern is created in software, it can be changed and new prototypes delivered in days. The polymagnets have vast consumer and and Industrial applications. 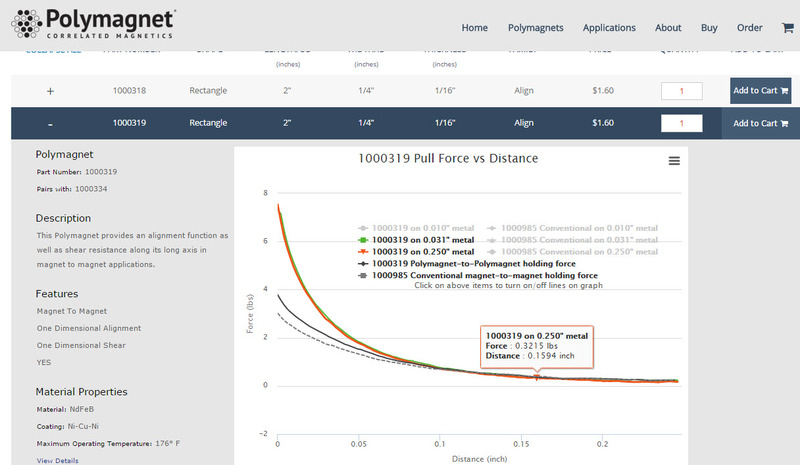 CMR wanted to put the entire catalog of Polymagnets online for immediate direct purchase to make it effortless for product designers to experiment and build prototypes. Creating a polymagnet catalogue eCommerce website for complex products like Polymagnet was daunting task. It all started with understanding what a Polymagent is and its multiple attributes.